Alesha was born 10 weeks prematurely, which caused bleeding in her brain. 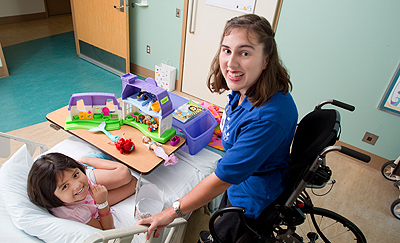 She was delayed in rolling over and crawling and diagnosed with cerebral palsy at age 1. She started physical therapy at 18 months of age and then went to Rady Children’s forspecialized care and surgery.